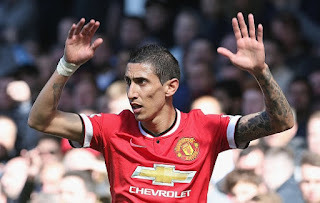 Bayern Munich want Man United flop Angel di Maria German news has revealed that Bayern Munich are set to make an offer for Manchester United attacking midfielder Angel di Maria. German news has revealed that Bayern Munich are set to make an offer for Manchester United attacking midfielder Angel di Maria. Manchester United signed Di Maria for a fee around £60million from Real Madrid last summer but the player failed to make an impact in the Premier League. He is now set to leave the club as Man United have no plans to keep him at Old Trafford. The 27-year-old played an important role in 2013-2014 season for Real Madrid. He helped them to win their tenth Champions League trophy. But since his move to Old Trafford he has been found in difficult position. The Argentine featured in 27 Premier League games, scored three and assisted 10 goals. Bayern Munich are eyeing to add some depth to their squad. Both their star attackers Franck Ribery and Arjen Robben suffered with injuries in the recent season. Robben is also linked with a summer move. The Bundesliga Champions are planning to launch an offer around £44million for Di Maria, it would be a loss for the Red Devils but they have to cope with it else Di Maria might lose his value further. Thanks for sharing such useful information. Your articles are always awesome, I am your regular reader. I appreciate your hard word and efforts. Keep doing great work.